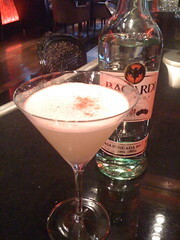 Today was my regional heat for the Bacardi Legacy competition. Regionals can take many forms and today’s format was another new experience. For the purposes of the competition, the UK was split into seven regions. More than two hundred entries were whittled down to seventy (ten per region, but I’m guessing on that), with only one entry from each region progressing to the national final in February. 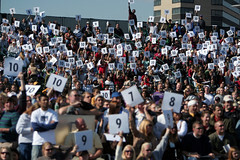 So, statistically speaking, a 1 in 10 chance of making nationals. But, cocktail comps aren’t decided out of a hat, so my odds just lengthened. 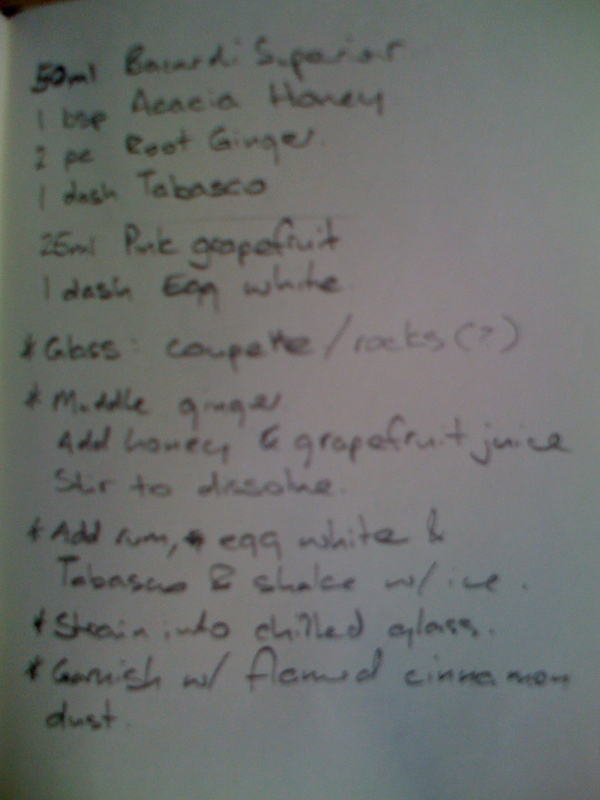 Given I don’t know who else qualified from my region (which, let’s face it, is going to be one of the hardest to get out of if the likes of Mal Spence submitted entries; I’m also hoping that all the Scotland-based bartenders who have recipes in the 2008 Legacy Book aren’t getting another go) and that adjustment might have to be in orders of magnitude. A lot of competitions involve making your drink in front of your direct rivals as well as the judges, unless it’s judged on a blind tasting, in which case your audience will largely comprise people who want to beat you. The interesting thing about the Legacy regional heat was that it was conducted by two judges in your bar, without spectators, without other competitors. It made for a refreshing change. That’s not to say that the format’s without it challenges. One of the judges who was assessing me spoke of a bartender in Belfast who had made his presentation while still serving paying customers and making service checks because his replacement was running late. The format allowed me to focus on my presentation and my drink, which isn’t always the case if I get starstruck or rattled by the guys I’m up against. It shouldn’t happen, but it does. At any rate, the national final is set to be a more traditional competition format, so there’s that bridge to cross. Or not. I’m always conflicted about naming new cocktails. Some days, I worry that I’m going to choose something that someone’s used before and that my cocktail will lose any comparison between them and disappear into the long evening of forgotten drinks. Some days, I don’t. The naming of things is important, especially in a field where so many new creations emerge so often. There can’t be that many cocktails that have gained widespread popularity because of their name – at least, when compared to those that have managed it in spite of their name; yes, shooters, I’m looking at you – but some of the classics just fit. Whoever first named a Cosmopolitan deserves a biscuit, because the name fits the drink so well. For an Old-Fashioned, the name works because the drink is. Then again, there are those drinks with a story behind the name. I love the story behind the naming of the Sidecar – it was the favourite drink of an Army officer who always arrived at the bar in a motorcycle sidecar. It’s easy to trace the path from “one for the guy in the sidecar” to simply “sidecar”, but if I try it with the regulars at work, I’ll end up calling a glass of white wine a Creepy Old Italian Dude. I’m also particularly fond of the various claims on the Margarita – not necessarily any particular story, just the fact that there are about a dozen with most of them involving either a Margaret or a showgirl. Leaving the showgirls behind, there’s something to be said for comedy names. I’ve got no love for the Sloe Comfortable Screw school, but I can get behind a malt whisky cocktail called It Came From Outer Speyside, or the bartender who presented a Manhattan with Monkey Shoulder at a competition and called it King Kong. In the end, I chose to brave the treacherous waters of Google Translator, and came up with Reina de Fuega, which I’m 85% sure means Queen of Fire in Spanish. I think it fits the drink. Now, here’s hoping it stands out. After looking over the rules and the format of the comp comes the time at which I’ve got to start making drinks. Easy to make: I want to be able to make this drink quickly. Part of the challenge of the Legacy competition is to get a drink widely adopted on menus, which will be tough to do if it takes five minutes to make each time. Old school values meets new school know-how: the judges are looking for competitors to explain the inspiration behind their cocktail and that, in a nutshell, is mine. With those two targets to aim, I grab a notebook and start throwing out a couple of ideas. I settle on a couple of things pretty early on. I’m tending towards making a daiquiri-style drink – what better way to celebrate an iconic rum brand than in an iconic rum cocktail? I also decide on honey as my sweetening agent, eventually going for a light Acacia honey. Stir with ice; strain over cubed ice in rocks/old-fashioned glass. Shake with ice; strain into rocks/old-fashioned glass on top of part 1. Garnish with flamed cinnamon dust. I don’t end up making this one. I probably will, because there’s a bunch of interesting stuff going on in there (maybe too much), but not right now because it fails on one of my stipulations. Imagine being asked for a two-part drink when you’re four deep at the bar on a Saturday night, one part of which involves stirring down honey. Back to the drawing board, but there are things I take with me. I like the idea of the flamed cinnamon garnish, which will work well if I shake the drink with egg white to give it a base. I also like the combination of the honey with fresh ginger, and I take that as cue to start playing around with some more fresh ingredients. I remember the stipulation that all ingredients must be “commonly available” in the competition rules, and bearing in mind I want something that’s going to play well with both ginger and cinnamon, I end up turning towards chilis. The thing that makes chilis hot is called capsaicin and one of its interesting properties is that it isn’t soluble in water. It’s why chilis burn no matter how much water you drink, and it lights up a little bulb in my head. I can use egg white to bind flavours to capsaicin, which will bind itself to the taste receptors in your mouth, which will – hopefully – enhance the finish of my cocktail. There are downsides to this plan. Firstly, I don’t want to singe the palates of anyone who tastes the drink. Second, fresh chilis on a busy bar are the definition of an accident waiting to happen, especially those rich in capsaicin. So then, how to get some capsaicin into the drink without using fresh chilis? The answer is one of the most commonly stocked products behind any bar. Tabasco Sauce. Any decent cocktail bar should be able to make a Bloody Mary, which means any decent cocktail bar should have Tabasco Sauce. All the benefits of chilis without the risk of rubbing non-water soluble irritants into your eyes. With the capsaicin question settled, the rest of my recipes falls into place fairly quickly. Muddle ginger in base of shaker; add honey and grapefruit juice and stir until honey dissolves. Add other ingredients and shake with ice. Fine-strain into a chilled martini/coupette glass, and garnish with a sprinkle of flamed cinnamon dust. Now I have a recipe. All I need is a name. 4. Bacardi Superior Rum must be the dominant spirit ingredient. 5. All cocktails should contain no other competitor rum brand. 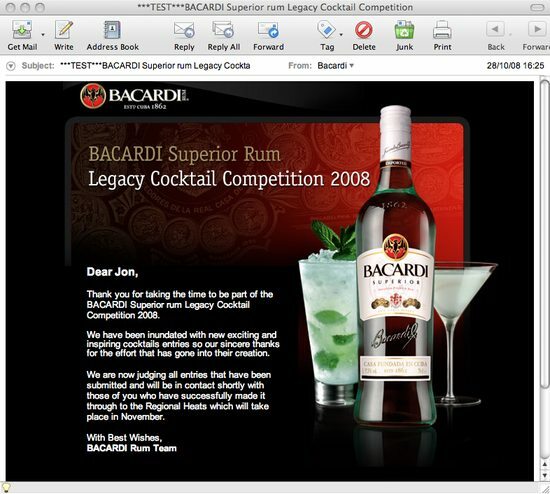 These aren’t at all surprising – after all, the competition is to provide a drink for the Bacardi Legacy book. 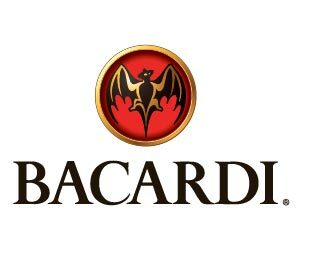 There’s also a number of rules relating to the format of the comp and things like the copyright of the drink (any entered drinks essentially become part of Bacardi’s IP, with accreditation “wherever possible”) which are pretty standard too. There are two rules that stand out; they’re the ones which are going make my life a lot harder. 7. All cocktails should use commonly available ingredients. This isn’t unexpected but it is annoying, mainly because there’s no guidance given on what constitutes “commonly available”. I always take it to mean if a bar can’t get an ingredient from a supplier, they should be able to get it from a shop, which means no interesting fruits that are only available in one store, in one town. 8. Cocktails with house specific ingredients will not be eligible unless these are easily made and a full recipe is included. Well, that’s helpful. The phrase “easily made” is so ambiguous as to be entirely useless. One of the cocktails (Ben Carlotto’s The Lady Wears Red) in the first edition of the Legacy book contains homemade bitters, so that would seem to set the benchmark. Right now, I’m wondering if my homemade Grapefrucello is eligible, but I suspect it won’t be. So, next step? I’m going shopping.